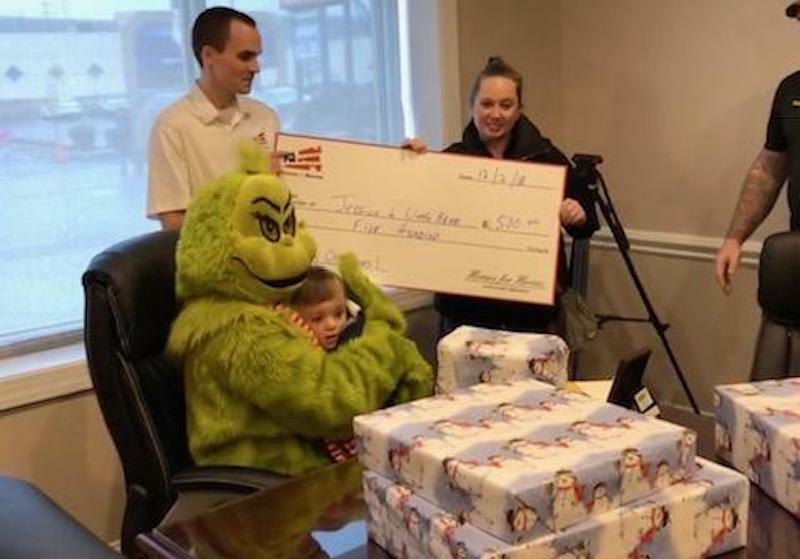 During the Snow Forge event in Old Forge, PA Homes for Heroes real estate specialists, Tom and Francesca Holland coordinated with local organizations to give a special Christmas gift to the loved ones of former Sgt. Jason McGoff. It was a welcomed surprise for Jason’s fiancé, Jessica Krotcha and her son Michael, and became known to local media as the Snow Forge Christmas Miracle. Sgt. Jason McGoff served in the National Guard. He was deployed and spent time overseas serving his country. Upon his return, he continued on his path of service and worked as a first responder emergency medical technician (EMT). His fiancé, Jessica Krotcha, who is also a local hero, serves her community as a registered nurse. She also has a two-year old son, named Michael. Homes or Heroes is on a mission to thank every American hero for their service, and this time of year, they present twelve gifts to select community heroes for their 12 Days of Christmas Miracles initiative. This year, Tom and Francesca Holland were selected and worked with numerous local organizations including Veteran’s Promise, Attorney John Novak, Velocity Abstract, Café Rinaldi, Fratelli’s Pizza and Pasta House, and Bar Pazzo to present Christmas gifts to a deserving local hero family. In July of 2018, Sgt. Jason McGoff lost his battle with mental illness, leaving behind Jessica and her son, Michael. Following the loss of Jason, Jessica has struggled to put her life back together for herself and her two-year-old son. Through Veteran’s Promise, Tom and Francesca learned about Jessica’s struggles and the impact of Jason’s loss. They nominated Jessica to receive a Homes for Heroes Christmas gift of $500 and she was selected. That’s when Tom and Francesca went to work and rallied the Old Forge community to make Jessica and Michael’s Christmas gift even better. They coordinated the presentation to happen the day of the Snow Forge event on December 2, 2018. Prior to the event, they worked with local businesses who donated additional gifts. They also rented a Grinch costume to make the moment extra special for her son, Michael. They invited Jessica, her son Michael and her brother-in-law to their office and presented the gifts. The entire time of the gift giving, Michael would not let the Grinch put him down. Big hit. Thank you to all who made this Christmas gift possible. And, Jessica, we all thank you for your service. 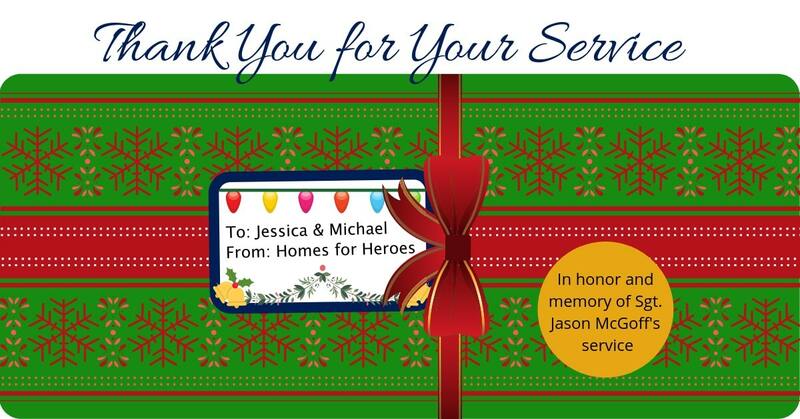 Happy Holidays and Merry Christmas to you and Michael from all of us at Homes for Heroes.